Marks of Devotion — Anna Akbari, Ph.D.
A woman recently tattooed her “boyfriend’s” name on her face as a symbol of their “eternal devotion.” (To be fair, they’d met and been madly in love for a full twenty-four hours.) While others may opt for something slightly more subtle (flowers? a mixtape? ), this isn’t the first visible mark of passion to hit the press. Who could forget Angelina Jolie wearing (something resembling) a vial of Billy Bob Thornton’s blood around her neck? It’s currently rivaled by Pet DNA necklaces, which offer an enduring memento during and after your pet’s life. While most would consider these drastic steps, many strive for ways to visually demonstrate their undying love. 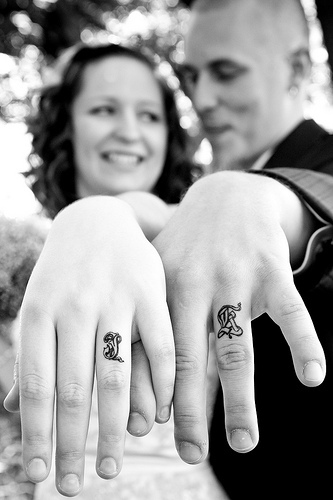 Much of our visible devotion is inspired by a particular relationship. As early as elementary school, children purchase “best friend necklaces,” a heart pendant in two parts: “best” and “friend.” Later in life, many exchange promise rings, engagement rings, and wedding bands to symbolize an eternal commitment to a romantic partner. Former American Idol star Kellie Pickler showed solidarity for a friend who had cancer by shaving her head. Dedication to a loved one that has passed away is commonly marked with a tattoo of his or her initials (and we explored some cool variations on this theme here). However, people aren’t the only recipients of our devotion. Support for a charitable cause is often symbolized through arm and wrist bands, such as the popular (and now controversial) Livestrong band. A commitment to environmental causes might be broadcast via a kitschy t-shirt, like “Green Is The New Black” (or some cleverer alternatives). 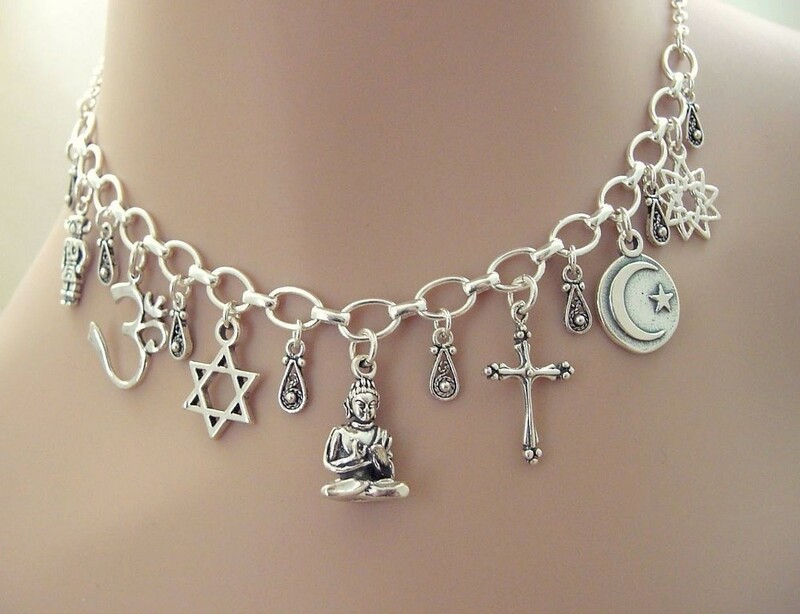 Many people show their devotion to their religion with necklaces featuring a symbol, such as a cross or the Star of David. So why do we feel the need to inscribe our passions, pet projects, and personal ethos across our bodies? And what purpose does it serve? These visible markers are mere signs, a sort of semiotics of devotion. “Signs are not related to the things or states of the world they appear to designate, but they stand for, they stand in front of, quieter intents, words, and deeds,” Marshall Blonsky explains in On Signs. In other words, the visible mark is not the object of devotion itself, but rather something simultaneously separate from and intensely connected to the particular person or cause about which we feel so strongly. They publicly pronounce to the world – and ourselves – our “quieter,” more private passions. Looking for a cute and simple way to say it? These “two halves make a whole” Lego heart necklaces are an easy, child-like expression of affection, befitting even adult romances. Passionate for a cause? Bravelets are chic, understated bracelets that allow you to support even the most specific of causes – and they give $10 of every purchase to the associated cause. Fashion Pioneersin the Jungles of L.A.